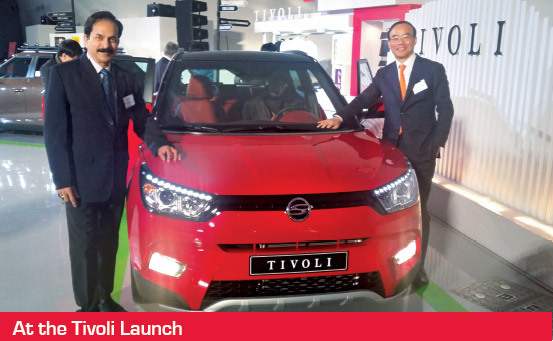 Vasudev Tumbe shares his experience with Ssangyong Motor Company and how he has been able to imbibe South Korea’s love for perfection in his professional life. Annyeong-haseyo from Seoul! I’m Vasudev Tumbe, CFO at Ssangyong Motor Company which the Mahindra Group acquired in 2011. I joined the Group in 1982 and it’s been an eventful journey of over 31 years. However, nothing quite prepared me for the unique experience of my current stint at Ssangyong which began in 2013! Before coming to Seoul, I read a great deal about the country, its people and culture to help me prepare for the move. South Korea is a relatively small country, approximately the size of Gujarat with a population of 50 million and a per capita income of US $ 27,000. Its economy grew at 10 per cent over three decades during a period of rapid transformation known as the ‘Miracle on the Han River’. This growth was primarily driven by the rise of the Chaebols or conglomerates like Samsung, Hyundai and LG which are now household names across the world. I would say that a large measure of the country’s success is due to the strong work ethic and disciplined attitude of its people. A relatively homogeneous country with a single language, most Koreans lead a similar way of life. Process oriented and hardworking, they have a tremendous amount of national pride and their commitment to execution excellence is something we can all emulate. For instance, if a new product is to be launched, the target date for launch is usually set 3 to 4 years in advance and this would invariably be met. In fact, the most popular phrase here is Pali, Pali which means ‘quick’, just like our Jaldi, Jaldi! In the first few months of working in Seoul I realised that there was a stark difference in the work culture. Koreans are generally friendly and helpful but language is an issue for expats working in South Korea as Korean is the primary language of business. In fact, due to the language issue, I hardly got any phone calls and very few emails! In the beginning, this felt a bit unusual as it was so different from what I was used to back home. However, I later realised that it was mainly due to respect for hierarchy and deadlines. Once Koreans decide on how and when a particular task is to be completed they make sure it is done, eliminating the need for repeated follow-up. Moreover, they are concise and to the point when it comes to presentations with the ability to summarise content in a single slide. I learnt a lot from observing the way they conduct meetings with adherence to time, backed up by thorough preparation which allows them to answer any query that may come up during the discussion. This facilitates faster decision making. This way of working led to greater efficiency and I suddenly realised that I had a lot of time on hand to read, learn and strategise. My biggest learning was in Treasury, Forex hedging and investor relations which were relatively new areas for me. It was interesting to meet global bankers, investors and economists, to field Board queries every quarter and participate in annual wage negotiations with the labour union. This really helped me broaden my professional horizons. While SYMC is strong on the R&D front, M&M’s best practices like Strategy Cycle and the Promise statement, PMS, employee engagement, risk management and cost focus have all been adopted by SYMC. Mahindra and SYMC have also been working together in sourcing and R&D and there have been significant synergy benefits in the areas of engine development and sourcing and going forward, the benefits will increase with sharing of platforms. Since all communication is in Korean, I need an interpreter with me at all times. However, the younger generation is learning English and is relatively more confident. We also have to be careful when it comes to numbers. Koreans follow units of 10,000 (Maan) and 100 million (Eog) just as in India we use lakh (100,000) and crore (10 million) and speak in terms of million and billion. Koreans invariably fumble when they speak in million and billion and that’s the only Korean I have learnt so far! South Korea has developed amazing infrastructure by way of an excellent transport and communication network and boasts of fantastic internet connectivity. The economy is driven by exports of semiconductors, electronics, automobiles, ship building and now ‘K Culture’ tourism as well. In fact, the country’s unique brand of K-Pop has found fans across the world. I live in Seoul which is a city of sky scrapers and appears like a concrete jungle at first glance. However, the quality of life is great as every area is clean and well planned with huge parks, walking tracks and public toilets. In fact, when you see lush green trees all over, you can say that Seoul is both concrete and a jungle! Aside from the occasional threat from North Korea which does not affect day to day life, I would say South Korea is one of the safest places in the world to live in. One can be out past midnight without any cause for worry as theft and crime is virtually non-existent. Moreover, the fact that all Korean boys in their early 20’s have to undergo two years’ military training has ensured that there is a strong sense of discipline ingrained in them at a young age. For the ordinary citizen, life is really very easy. For instance, when I applied for a local driving license, I found the entire process very smooth as all formalities were completed within an hour, making me feel as if I were dealing with a customer friendly private organization. 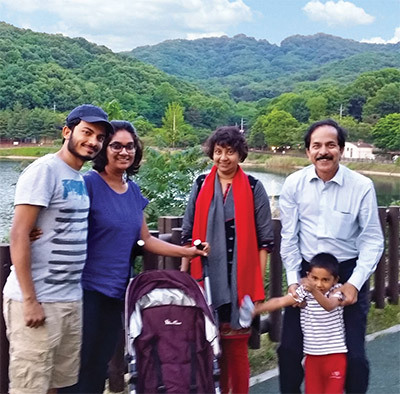 My wife, Sudha and I have also travelled a lot during our time in Seoul, giving us a chance to get better acquainted with this beautiful country. 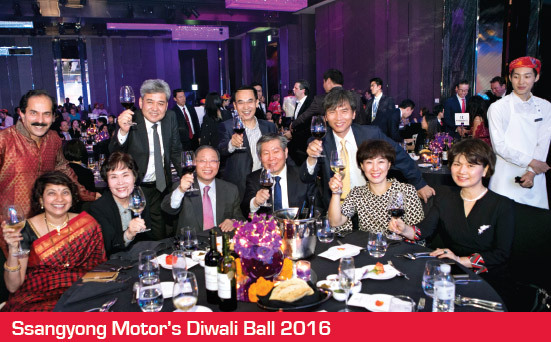 There are nearly 10,000 Indians in South Korea with all seven Mahindra expats living in the same vicinity. This ensures that we meet regularly over the weekend and that none of us misses home too much. We celebrate most Indian festivals, including Holi, Ganesh Chaturthi and Diwali and have also made friends with people from different cultures which has really broadened our perspective. My wife’s visa does not allow her to work but thanks to her proficiency in Korean, she has actively volunteered with the Korean Police and Gangnam tourism and also teaches Maths to children with learning disabilities. I am also privileged to serve on the Board of the Indian Chamber of Commerce in Korea (ICCK) which gives me the opportunity to interact with other business leaders, the Indian Ambassador and delegates from India. My experience in South Korea over the past three and a half years has been an immensely fulfilling one. It has taught me a lot from both the professional as well as the personal point of view. I have learnt that when in a new country, if you are patient and make an effort to understand the culture and adapt to the local way of life (occasionally difficult if you are a vegetarian!) you can look forward to a very enriching experience even if you are a long, long way from home.